A pair of north east explorers have said experiencing first-hand the effects of climate change has led to their backing of a ground-breaking clean energy scheme. 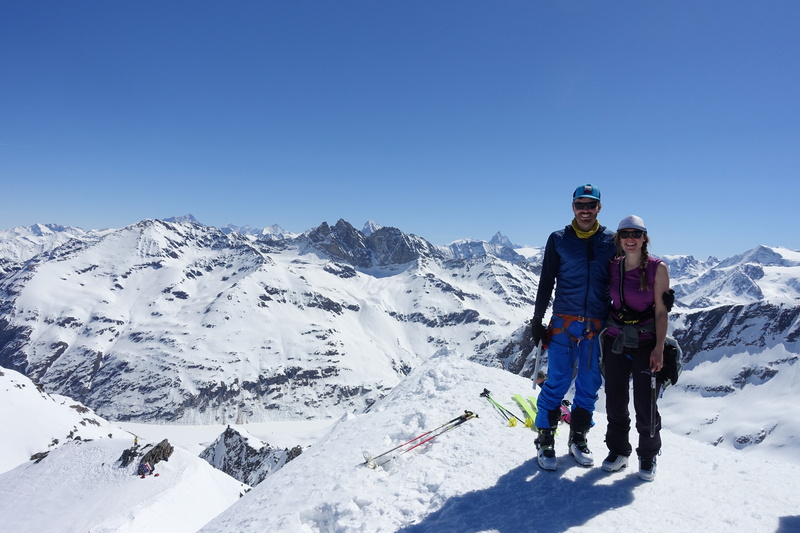 Hazel and Luke Robertson’s treks have taken them across the Sahara, the South Pole and up Mont Blanc, to name a few. The Stonehaven couple are explorers-in-residence at the Royal Geographic Society, but spend their day jobs as consultants with Pale Blue Dot Energy, the firm behind the Acorn carbon capture and storage (CCS) scheme at St Fergus. CCS technology aims to reduce the effects of climate change by storing harmful emissions underground – or in the case of Acorn, storing them under the North Sea. Both knew from an early age they wanted to work on climate change solutions, which has since been bolstered by their treks together, seeing vast glaciers and frozen lakes melted away. Nearly two years ago they had an expedition in Alaska which had to be cut short due to a global warming phenomenon. Luke said: “We were on our longest expedition in 2017 in a cycling and kayaking trek across Alaska. We have also spent time in the Alps and in both of those locations we have seen the effects of climate change first-hand. “We wanted to travel from the southern-most point to the northern-most point of Alaska but our expedition was cut short at the very end due to the fact that many Arctic lakes which once held water have now drained, meaning we were unable to kayak in them. The pair had a similar experience in the French Alps, over a period of years noticing the steady retreat of the Mer de Glace glacier. Hazel added: “We were fortunate enough in 2001 to go to the French Alps and returned 17 years later and we were able to count the number of steps it had receded. “In 1988 it would have taken three steps to get down the ladder to the glacier, in 2001 it took 106 steps and by 2018 this had extended to more than 400 steps. Both see CCS as a vital means of tackling the growing effects of climate change. Luke had to undergo life-saving brain surgery in 2014, but went on to be the first Scot to ski solo unsupported to the South Pole. He joined Pale Blue Dot last year following a job with the UN on sustainable farming. The pair tour the country speaking about their experiences, and that extends to climate change action. The couple recently returned from the COP24 climate conference in Poland, promoting the Acorn CCS project. Hazel studied CCS at university, where she gained an understanding of the key role it can play in the future energy mix. Along with her work for Pale Blue Dot, she is a board member of the Carbon Capture Association. Last year saw the UK host an international CCS conference in Edinburgh, with funding announcements for Acorn and similar projects in the country. Acorn has also won lease agreements with the Oil and Gas Authority and Crown Estate Scotland, which will help in the ultimate aim of upscaling with the use of North Sea infrastructure. Hazel said: “I wanted to do something in the natural world and something that is also a climate change solution, using my skills to tackle that, that’s where Pale Blue Dot comes in. “Everyone wants to do something to mitigate climate change and CCS is one of the many tools we need to achieve that going forward. “Last year the UK and Scottish Government moved up their support for CCS, especially with the Edinburgh conference. That’s never happened before for them to come together in Scotland in such an international way.